The depth of flavor in this blend comes from garlic, onion, and bell pepper, a little sea salt, and a hint of demerara sugar. Try this on any cut of steak, chicken or pork. 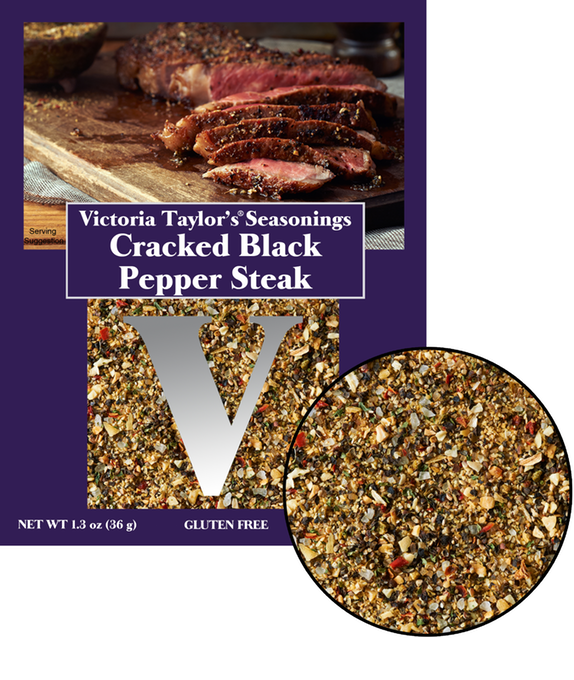 This is a one time use packet designed to make the recipe for Cracked Black Pepper Steak which is included on the back of the packet. Ingredients: Vegetables (garlic, onion, bell pepper, parsley), black peppper 30%, sea salt, demerara sugar, and silicon dioxide added to prevent caking.